The UK's leading DIY double glazing supplier of made to measure double glazed doors and upvc windows, grp composite doors, fd30 composite fire doors, timber solid core composite doors, upvc doors, upvc french doors, upvc patio doors, upvc stable doors, upvc sash windows, bow and bay windows, porches and replacement upvc door panels to the public, DIY enthusiasts and the trade. Just Doors UK are proud to offer the UK's largest selection of high quality, secure, energy efficient yet lowest priced DIY double glazing, doors and windows available to buy today at fantastic trade prices, saving you £100's off retail prices! Our excellent quality, secure and energy efficient made to measure DIY supply only double glazed upvc doors start from just £329 inc VAT, composite doors from £445 inc VAT and supply only upvc windows from only £65 inc VAT. All replacement doors and upvc windows supply only can be delivered within 5-15 working days, ready to install. You can view all our DIY doors and windows right here online, on our website and you can order by calling our friendly and helpful staff on 0844 692 3828 or 01530 273365. We offer secure composite doors, composite front doors, composite back doors, modern and contemporary front doors, upvc front doors, upvc back doors, cottage style doors and DIY energy efficient upvc windows in many beautiful, luxurious styles and colours, which offers excellent profile matching to any existing double glazing in your home. 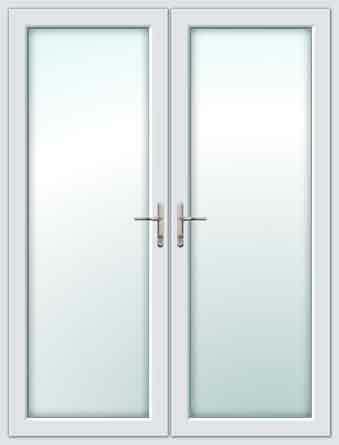 Also attractive front door side panels and top lights are available and to compliment your choice further an extensive range of door and window hardware to choose from. As standard all our external composite doors, double glazed upvc doors and diy upvc windows are manufactured made to measure and come with a multi point locking system, Pilkington K energy saving glass, external cills, reinforced frames where required, a choice of door and window hardware and a 10 year profile guarantee. This will certainly ensure that you are completely satisfied and have total confidence in your purchase from the UK's trusted and leading double glazing supplier!